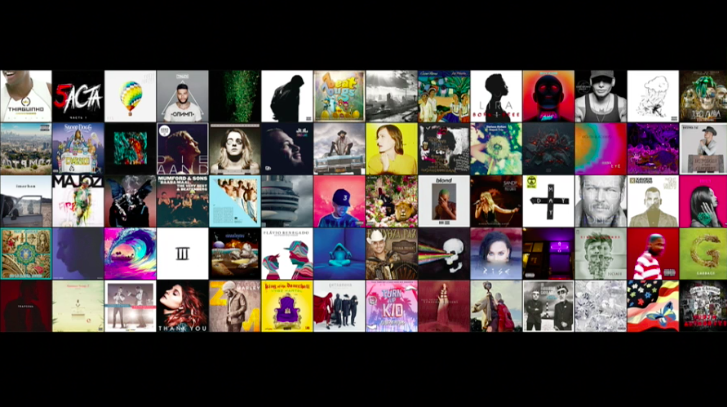 Apple kicked off their talk by discussing the new Apple Music app today, which overhauls the interface while adding lyrics, music discovery, and recommendations. “There’s a great new simple an intuitive design in iOS 10,” Tim Cook said. Cook also mentioned the emphasis on exclusive releases on the service, name dropping Taylor Swift and Drake. Lyrics are the headline feature unannounced feature here, giving streamers a sleak way to read lyrics in sync with the music. There’s also new ways for users to find music they’ll enjoy based on previous listening habits, similar to what Spotify offers. The new user interface is much easier on the eyes, with bold typefaces everywhere you look. And everything feels a lot less cluttered, with endless lists taking a back set to content you actually want. Connect has a diminished role now. The feature, which allowed artists to push out messages and listeners to reply, is no longer featured when you open the app, though you can still find it by digging around.